Tomato/Tomatoe: Strawberry, Tomato & Feta Salad! What's not to love about tomatoes? These juicy gems come in about as many incarnations as your favorite designer shoes: heirloom, cherry, grape, beefsteak - there's definitely one out there to suit your personal taste. This week, I'll be posting two recipes that highlight tomatoes and today's, my fabulous foodie friends, features the cherry tomato. The cherry tomato is a smaller garden variety tomato. These tomatoes can range in size from the tip of your thumb to the size of a golf ball, and can range in shape from being spherical to slightly oblong. The more oblong ones share characteristics with plum tomatoes (also known as grape tomatoes). For you Latin or passionate tomato fans out there, the cherry tomato is regarded as a botanical variety of the cultivated berry, Solanum lycopersicum var. cerasiforme. This Strawberry, Tomato and Feta Salad is easy to prepare and perfect for a Spring or Summer lunch with the ladies or for having on hand as a healthy lunch or snack during the week. As an added bonus, it is healthy AND vegetarian - I know, not something you usually find here at GG! The sweetness of the strawberries is nicely balanced by the acidity of the tomatoes and the balsamic vinegar brings both flavors together quite beautifully. While you can use other cheeses such a blue in this dish, I think the feta adds the perfect salty tang without overwhelming the other flavors. I would advise using your basic, unaged balsamic vinegar for this recipe; the sweeter, aged balsamic turns this dish into a dessert - which is fine if you are, in fact, looking for a dessert! Also, if there was ever an ideal situation to break out your best extra virgin olive oil, this is it - the fruitiness and texture of the oil really adds to the dish. I used a Tuscan oil that I really adore: the 2010 Perazzeta Extra Virgin Olive Oil. It has a beautiful green color and delightful fruity, spicy flavor that is perfect for everything from dipping your favorite focaccia to dressing Insalata Caprese. I hope you enjoy this yummy Summer salad featuring cherry tomatoes, I'd love to hear what you think! Stay tuned for the next recipe of the week featuring fabulous heirloom tomatoes. Cocktail Couture: "Skip & Go Naked" this Weekend with this Refreshing Summer Sipper! Although I normally focus primarily on wine, I felt it would be a crime not to share this delightful Summer cocktail with all of you. I recently came across a gem of a cookbook I hadn't used in awhile. "The Summer Book" by Susan Branch contains some really phenomenal and creative recipes that are, as the name implies, perfect for celebrating Summer. One that I recall particularly enjoying is for a drink called the "Skip & Go Naked." Now before you read the ingredients, you have to promise me you will try it at least once! Promise? While the ingredients may leave you scratching your head, let me assure you, this cocktail is icy, pink perfection! The end result is the color of "Double Bubble gum" and best served in a martini or clear decorative glass to maximize the effect. 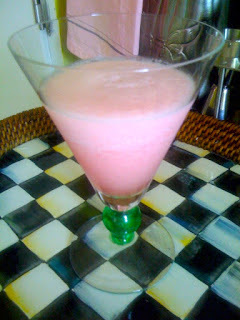 Also, be sure to use frozen pink lemonade concentrate (not pink lemonade) and regular vodka works much better than the flavored kind; the flavors tended to clash with the tartness of the lemonade. I hope you enjoy this cocktail and as the author says, "All my friends have a 'Skip & Go Naked' story and now you can too! That is, if you want one." Fill blender container halfway with ice. Pour in beer, lemonade and vodka, blend well and serve. Makes two big drinks. 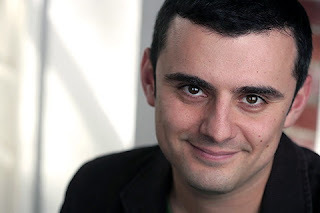 Winesday with Gary Vee: a California Chardonnay & Winery Not to Be Missed! "The current Daily Grape Newsletter is loaded with 70+ white Burgundy tasting notes and reviews, but sprinkled in the mix are a handful of Chardonnays from other regions around the world. This flight of white Burgundy set the Chardonnay bar high...they're hard to compete with. The 2009 Frank Family Chardonnay from Napa Valley though, proved it can compete on the same level with so many of its French counterparts. 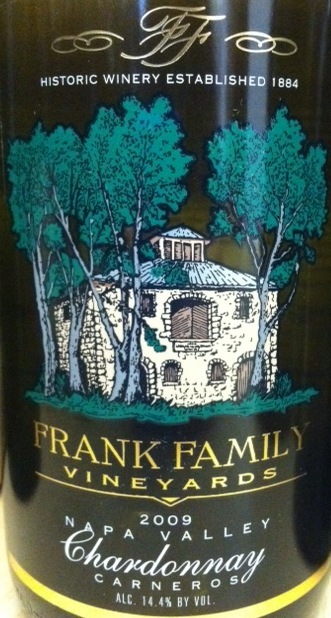 Like many Napa Valley Chardonnays, this wine is laced with a fair amount of oak. The key is, it's well integrated and matches up to the hedonistic, undeniable (apple and coconut fruit), making it downright delicious. It's also priced pretty fairly, when compared with so many over priced Chardonnays in the same category. Frank Family is one of my favorite places to visit in Napa, so stop by their Calistoga tasting room if you ever get the chance and tell them I sent you." Gary's tasting note: Super bright and vibrant nose, with a nice balance of coconut, oak, and butterscotch. As I taste this wine, I can't help to think...this is what I wish Rombauer Chardonnay was! I don't like to compare wines within a tasting note, but the extreme popularity of Rombauer with its buttery, oaky style makes me realize why this wine would be extremely popular, with its additional acid structure and focus that will appease wine nerds and traditional Cali Chardonnay lovers alike. Fast & Fabulous: Moules Marinières & White Burgundy! This dish is a favorite in our house and I especially love making it during the Summer months. It is light, delicious and easy to prepare! This recipe for Moules Marinières (aka Mussels in White Wine) is from the Barefoot Contessa's, "Barefoot in Paris" cookbook. For the longest time I was under the impression mussels were difficult to make, but that couldn't be farther from the truth! When working with cultured mussels, simply rinse them under cool water just before cooking and remove any pesky "byssus" threads (fibrous strings that sometimes stick out of the shells) and you are all set. Mussels even have a built in self timer - if they are open, they're done. The most important thing to keep in mind when purchasing mussels is they have to be very fresh. They should be a glistening, shiny black color and the shells should be tightly closed. If you come across any that are open, a quick tap on the shell should cause them to close up again. If not, discard! Conversely, after cooking if any of the mussels have not opened, discard them as well. For my local foodie friends, I purchased my mussels from Captain Clay's Fish Market in Delray Beach. They were cultured mussels from Prince Edward Island and were a lovely glistening black color and extremely fresh. 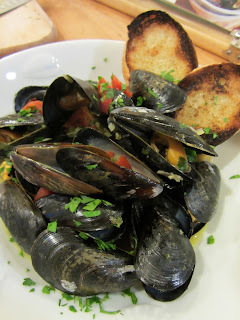 When making this recipe, be sure to ask your fishmonger if you need to soak the mussels with the flour for the 30 minutes to get them to disgorge their sand as stated in the recipe. When dealing with cultured mussels such as the ones from Captain Clay's, you do not need to perform this step and soaking them could actually kill the mussels prematurely so definitely make it a point to ask. A Nice Bath for the Mussels! Once you have rinsed the mussels and prepped the garlic, shallots and thyme (which can all be done ahead), this is essentially a quick, one pot meal - 8-10 minutes and dinner is served! Be sure to serve the mussels with grilled bread that has been rubbed with a garlic clove. I love the way the garlic just melts into the hot bread and the delicious flavor goes so nicely with the heavenly sauce! As for wine (I know you were waiting for this part! ), enjoy this dish with a Chardonnay like the Domaine Faiveley Montagny 2008. 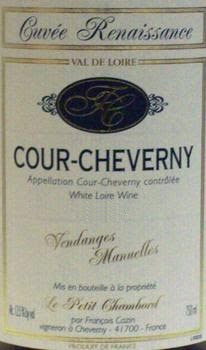 This white Burgundy has enticing notes of citrus, green apple and white flowers with just a hint of spice. It's crisp yet has a delightful creaminess to it and complements the mussels very nicely. As with most wines in France, this one is named for the area it is from: Montagny is the most southerly village in Côte Chalonnaise, bordering the Mâconnais region of Burgundy. I hope you enjoy this delicious duo - shellfish and white Burgundy are a fabulous match! Also, many wine regions, especially Burgundy, can be quite confusing and I'd love to hear any wine-related questions you might have. So please, ask away and by all means, don't be shy! To clean the mussels, put them in a large bowl with 4 quarts of water and the flour and soak for 30 minutes, or until the mussels disgorge any sand. Drain the mussels, then remove the "beard" from each with your fingers. If they're dirty, scrub the mussels with a brush under running water. Discard any mussels whose shells aren't tightly shut. Soak the saffron in 1/4 cup hot tap water for 15 minutes and set aside. In a large (12-quart) nonaluminum stockpot, heat the butter and olive oil over medium heat. Add the shallots and cook for 5 minutes; then add the garlic and cook for 3 more minutes, or until the shallots are translucent. Add the saffron with the soaking water, the tomatoes, parsley, thyme, wine, salt and pepper. Bring to a boil. Winesday with Gary Vee: Insights on California Pinot Noir & Cobb Rice-Spivak Vineyard Pinot Noir 2008! "California Pinot Noir producers have one man to thank for the ability to routinely price their wines over $50: Rex Pickett. The author of the book-made-movie, Sideways, single handedly skyrocketed the popularity of Pinot Noir almost overnight with his $71 million grossing blockbuster. Yet so much of the Golden State's Pinot Noir is overpriced, overrated, and overripe... it almost seems like some winemakers are blending in Syrah! Enter Ross Cobb, former assistant winemaker at some of California's most classic wineries, like Bonny Doon Vineyard, Williams Selyem, and Flowers Vineyard. In 2001, with the help of his father, Cobb created Cobb Vineyards. 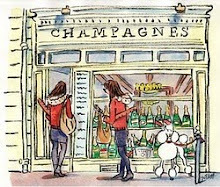 Today he just seems to be hitting his stride, with wines that can compete or surpass the Pinots made at his Alma Mater. These are elegant and well-structured, but undeniably delicious in true California fashion. Another tip: Watch for the wines from Hirsch Vineyards, where Cobb also resides as head winemaker." Gary's tasting note: This nose is far more interesting than the Cobb Joy Road. Taffy, coffee, black pepper, and hints of chocolate. Little hints of grain, beef jerky, soy sauce, violets and some sour plum skin. Finishes with a bacon, burnt rubber and it's surprising to me how much I like this wine more than the Joy Road. "Lite Bites & Summer Nights" this Wednesday to Benefit Bethesda Memorial Hospital Foundation! For my local friends, "Bethesda Next," the NEXT generation of young professionals planning the NEXT great social event while raising awareness and support for Bethesda Memorial Hospital Foundation, is planning their 2nd "Lite Bites and Summer Nights" event which will take place this Wednesday, July 13th from 6:30 - 9:00 p.m. 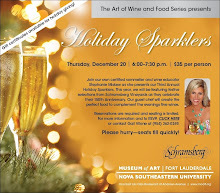 The event includes food, wine, live music by Jeremy Malotke, raffles and dinner by the bite from area restaurant favorites including: PRIME CATCH, VILLAGE TAVERN, SLAINTE IRISH PUB, ELLIE’S DINER, CITY OYSTER, THE LIVING ROOM, JASON’S DELI, LUCILLE’S BAD TO THE BONE BBQ and a wine tasting provided by THE WINE CELLAR. The event will be held at Bethesda Memorial Hospital's Clayton Conference Center at 2815 S. Seacrest Blvd. in Boynton Beach. Tickets are $40 in advance and $50 at the door. 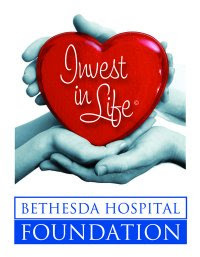 www.BethesdaHospitalFoundation.org. Some of the delicious dishes being served include: Prime Catch - Duck Trap spoken salmon bruschetta with heirloom tomato salad; City Oyster - Toasted Orzo Salad with Shrimp; Slainte Irish Pub - Rubinskins and Potato cakes; The Living Room - Whiskey cake and peanut butter pie; Sandy James Productions - Suzy salad with grilled shrimp, ahi tuna tartare and zucchini & fennel soup shots; Village Tavern - crab cakes and sashimi tuna and more from a handful of other restaurants! I hope you can come out and support this fabulous organization and enjoy a fun night of food, wine and fun. Hope to see you there! Grilled Shrimp with Oregano & Lemon - Summer Deliciousness! I came across this delightful recipe for Grilled Shrimp with Oregano and Lemon in the July issue of Food & Wine Magazine. 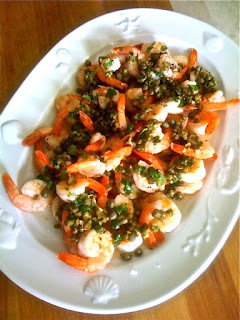 The title alone made my mouth water: plump shrimp, salty capers, fragrant oregano and tart lemon - these flavors just scream Summer! The recipe was from Seattle Chef Ethan Stowell, proprietor of an assemblage of restaurants including Tavolàta, How to Cook a Wolf, Anchovies & Olives, and Staple & Fancy Mercantile. His distinctive culinary style combines local, Pacific Northwest ingredients with his passion for Italian cuisine. The sauce for the shrimp is a simpler version of Italy's salmoriglio, usually made with lemon and herbs in a mortar. The recipe is extremely easy to make and the simplicity of the preparation really lets the individual ingredients shine. Serve these shrimp hot off the grill with some fresh, crusty French bread to sop up all the delicious sauce and a crisp, citrusy white wine like the 2009 Hall Napa Valley Sauvignon Blanc and you are in for a real Summertime treat! What are your favorite Summer flavors? Light a grill. In a large bowl, toss the shrimp with the remaining 2 tablespoons of olive oil and season lightly with salt and pepper. Thread the shrimp onto metal skewers and grill over high heat, turning once until the shrimp are lightly charred and cooked through, about 3 minutes per side. Remove the shrimp from the skewers transfer them to a platter. Spoon the sauce on top and serve. Serves 8. **The sauce can be refrigerated overnight. Bring it to room temperature before serving. "Anyone who has watched my wine shows over the last 5+ years know that I'm constantly pushing people to try new and different wines. This wine may transcend that mission better than any other. Romorantin is an ancient varietal dating back to the 15th century, and François Cazin is "the man" in Cour-Cheverny. I'd tasted the 2008 Cazin Cour-Cheverny on episode 19 from Tangled Vine Wine Bar & Kitchen and fell in love (http://dailygrape.com/videos/15-french-whites-from-a-hot-new-york-city-wine-bar). Following that tasting just a couple months back, this 2009 Cuvee Renaissance reaffirms what makes Cazin so darn special. Off-dry with just a touch of sweetness and great minerality, this is nerdy wine to say the least. You won't find it at just any local wine shop, but I'd strongly urge you to add this to your wish list, hunt it down, and enjoy with any lighter summertime fare like oysters and delicate fish dishes." Gary's tasting note: Heavy minerality on the nose. Little hints of mustard, pine cone, and forest floor. Nice hint of residual sugar, but not too much. Very vibrant and clean. The kind of wine I like to drink with summer time food on the porch by the pool in the Hamptons. A nice summer time into fall white wine.